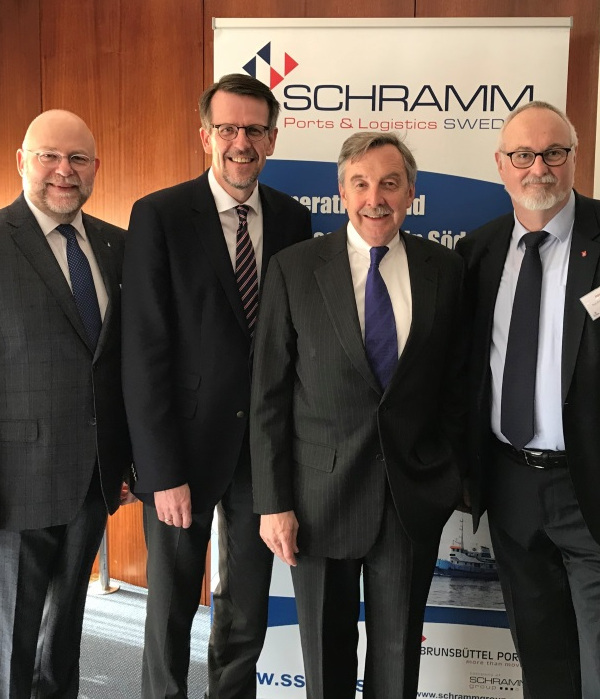 Since 1 March 2017, the SCHRAMM Ports & Logistics Sweden AB, an afﬁ liate of the Brunsbüttel Ports GmbH, has been the majority shareholder (51%) of the Swedish port operator and logistics company Söderhamns Stu-veri & Hamn AB (SSHAB). 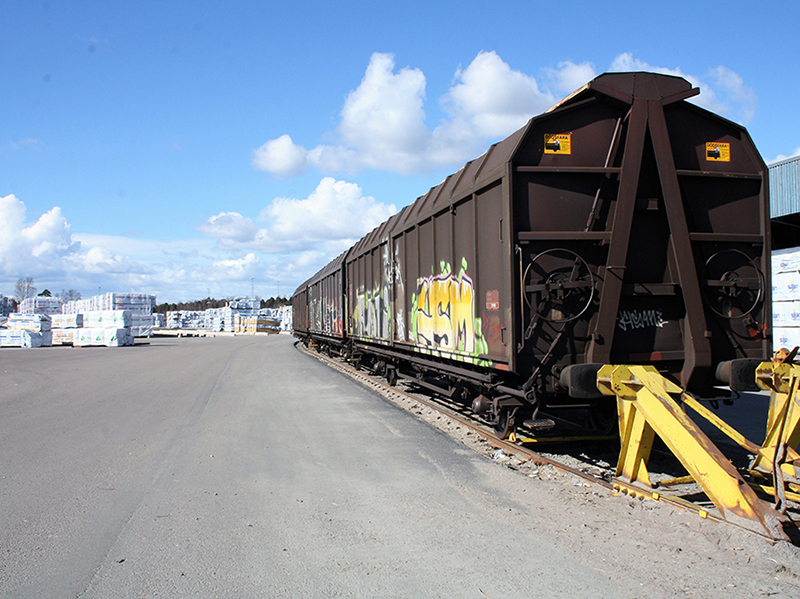 SSHAB operates the ports Orrskär, Stugsund and Langrör in the Söderhamn region on the east coast of central Sweden and provides logis-tical services at three ports in Vallvik, Sandarne and Åla which are owned by industrial companies. 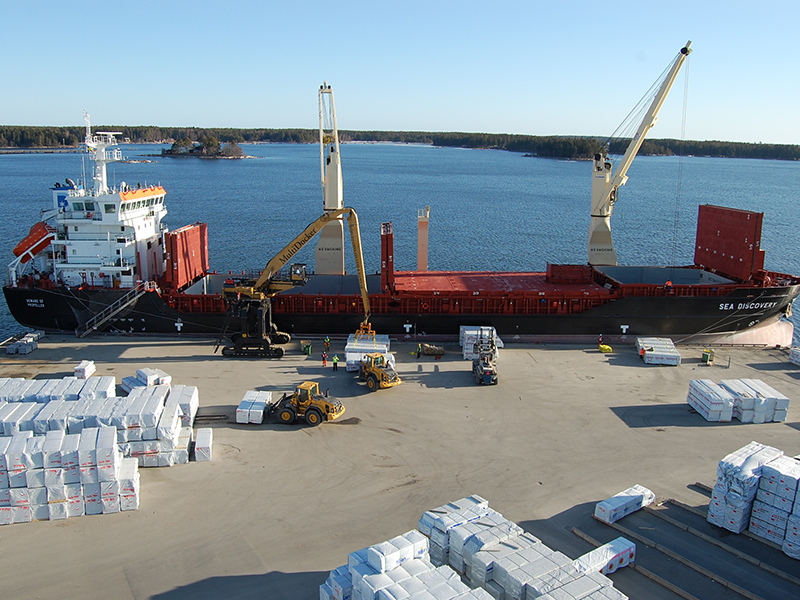 Through its new Swedish company, Brunsbüttel Ports will be able to serve the entire Scandinavian market and expand its activities in the Baltic Sea. 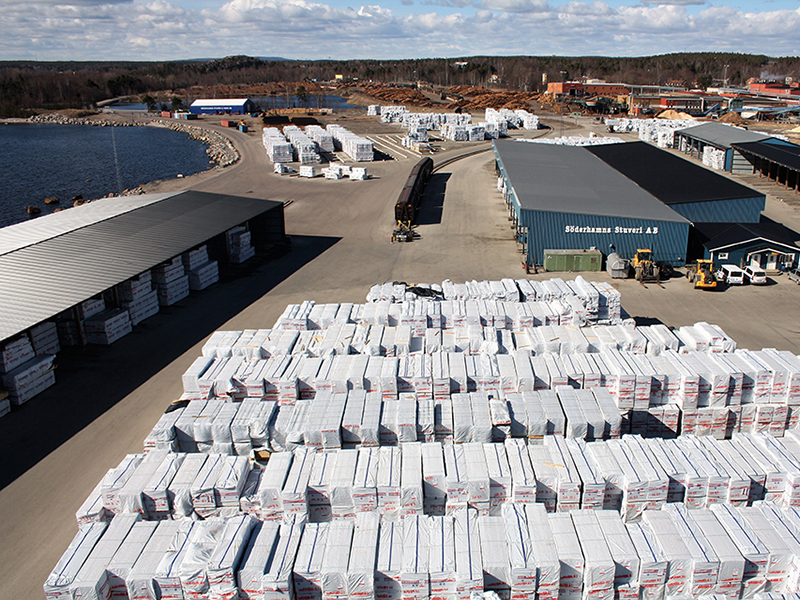 Especially via the Orrskär port, large numbers of timber and wood products, such as sawn timber, are expor-ted from Sweden. 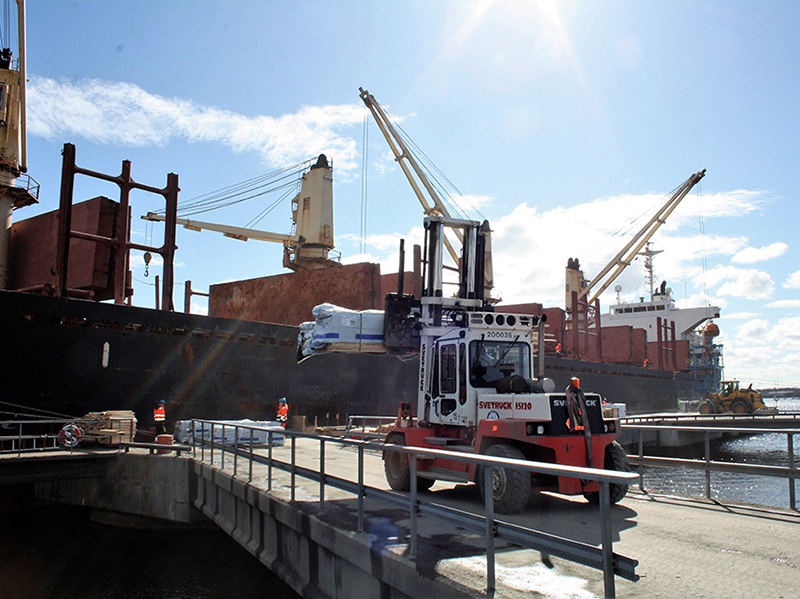 Through its multi-use cargo-handling equipment, the Orrskär port meets all requirements, especially for handling general and bulk cargo. An ex-pansion of the port by an additional 6 hectares of storage space and an additional berth is currently under review. 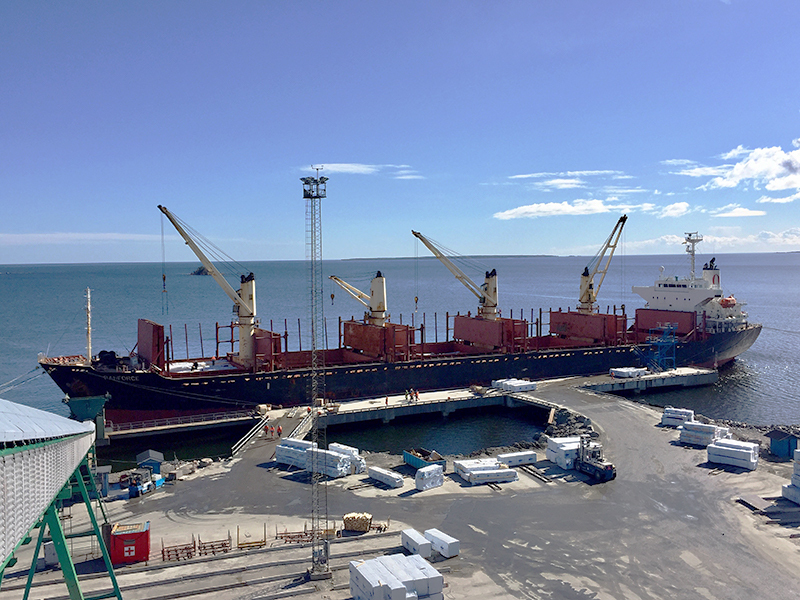 The ports Langrör and Stugsund are used to handle cement, oil, chemical products and general cargo. In addition to port services on land, the Swedish company also offers waterside services. 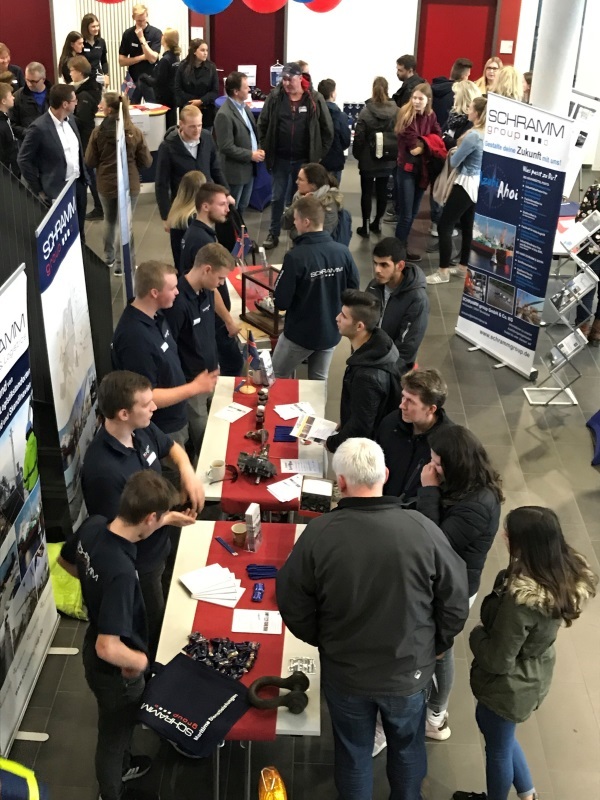 SSHAB owns and operates two tugboats used for tug assistance during ship maneuvers and as icebreakers during winter months to keep the harbors accsesible. 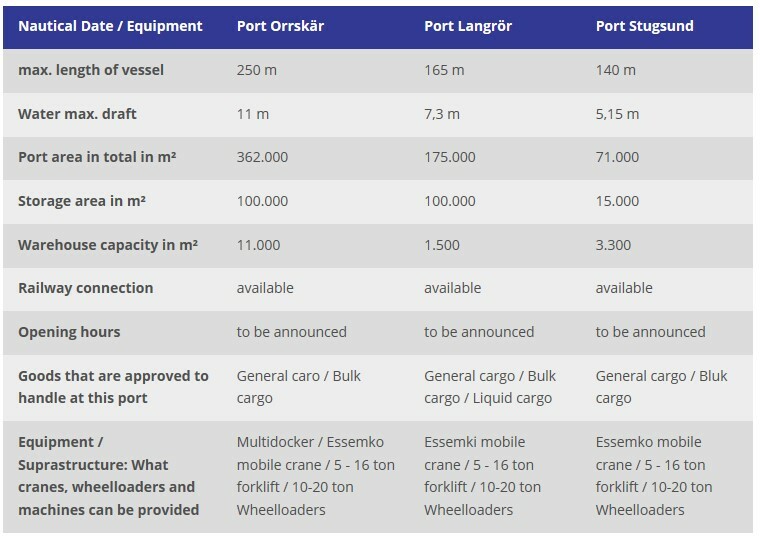 Here you will find the nautical specifications of all our Ports in Sweden.